Xiaoying and I welcome you to our blog. 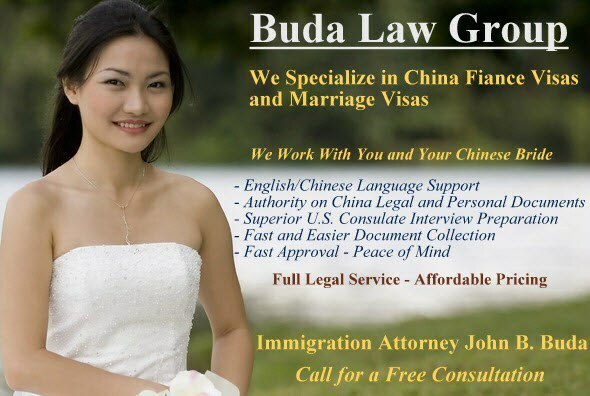 We're dedicated to helping you bring your Chinese spouse or fiance to the United States. When filing our petition in 2005, I wished for someone who could guide us and answer our questions. Since going online in 2008, we've given others a way to do just that. Let us answer your questions. We'll get back to you ASAP! And since 2008, our newsletter encourages readers to reply and ask questions. In return, this gives us insight to where couples need the most help. But more important, an eye-opener after they hired visa services that provided much less than bargained for. No one contacted their spouse or fiancee in China. So, a word of caution - Many visa services say they provide multiple languages and support visa applicants. Make um prove it before you sign a retainer! You'll be surprised to learn the truth. ​Nothing is as rewarding as reading our mail. ​" I hope you and your family are well. We are doing well, and our daughter is three now. Thank you for all the help. It was greatly appreciated. You and Xiaoying are awesome. " Michael B.
" You and Xiaoying have done a great service for many. You will always be in our hearts, and we will never forget all you did." John G.
" I would like to thank you again for helping us come together in America. You two are wonderful souls and friends." Wade C.
" Thanks for the help. Hope to meet you guys someday. " Don D.
" Again, thanks so much for all you both have done for us, and God bless you both!" Paul P.
" Your website was indispensable in helping me understand all the never-ending list of requirements from both China and the U.S. We now have four kids. Ages 5, 4, almost 2, and five months. You helped to make this possible, and I will always be thankful. Thank you, and God bless." 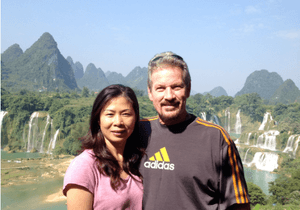 Christopher M.
​Randy and Xiaoying have helped thousands of couples. And in 2011, attorney John Buda and his wife join our community to get to know other couples in their area. ​Attorney Buda asks us to join him in providing support to his US/Chinese clients. As many have now shared their reviews, history is still writing the book.